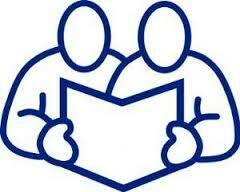 In Rotary, the theme for the month of September is Basic Education and Literacy, one of the six areas of focus. -Participate in a world community project to provide teacher training and needed classroom supplies. A few of our members already help load containers heading to South Africa with unwanted school room supplies from schools that have been closed in our area. We welcome more of our members to help with this worthy "Global Literacy Project" which is an ongoing project of the Rotary Club of Grand Bend. On Aug 25th I had the privilege of helping them load container #79. I have already signed up for container #80 to be held on Sept 7th in London. It's probably too late to sign up for this one but please consider helping in Exeter when they load another container in October. Please join me in helping the Grand Bend club with this wonderful project. Not only do you have a great feeling of satisfaction knowing that these items will not be littering the dump but that children who have nothing will now have desks, chairs, blackboards, etc. You also have the opportunity to meet many wonderful Rotarians from our area. More than 775 million people over the age of 15 are illiterate.